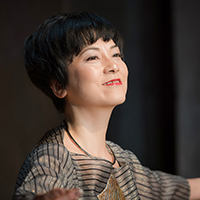 "Nagauta" the most popular music of Edo period revives with Emme's gracious voice. It is the new generation "World Music" from Japan . Emme started to learn Japanese traditional dancing at the age of three, and recieved her master's degree at sixteen. After graduating junior college, she aimed to become a professional singer and built her carrier as a background vocalist for the most popular and talented Japanese singers such as EPO, Yumi Matsutoya, Miki Imai, MISIA, Takuro Yoshida, etc in their concerts and recordings. In 1995, Emme started to learn Nagauta, the Japanese traditional story telling song, and studied at the Tokyo National University of Fine Arts and Music. And now she has established her own new genre which is a fusion of her experience and Japanese traditions. Her first album released in April 2002 is entitled " Yoy Asa ", second album " Emme " released in October 2004, third album " Inochi no chi " is released in July 2008. Her latest album " Otona no Komoriuta " is released July 2012. Apart from her concerts activities, Emme organizes various workshops for vocal exercises. Her wish is to make people discover his voice and enjoy vocalization. 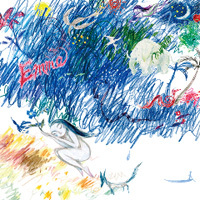 CD Journal (Kunihei Sasai) : As pure as Kotodama, the spirit of words, Emme's voice penetrates in the dimension the Japanese people forgot today. CD Journal (Midori Tanaka) : The songs originated in human nature such as pray or feast. CD Journal (Kyoji Hoshikawa) : Undoubtedly World Music from Japan.